The Iranian society has always been under stress and very turbulent for the Iranian women. The traditional vs modern culture, East and west ideologies, and the main Iranian religion have always been the controversies that the society had to deal with and balance. The role of the women in such society has always been very important. Throughout the years, the Iranian women has been in the forefront of change and it has not been easy. Pushing the envelope of change and moving the society into more modern way is a task that Iranian women has gladly taken and have done a great stride in the recent history of Iran. For the first time since the revolution, some women succeeded in 1997 in getting into a stadium to watch a soccer match. In 2000 more than 600 female students from the medical University of Qom demonstrated in front of the Ministry of Health in Tehran complaining that they were prevented from studying certain subjects because there were not enough female doctors to teach them. 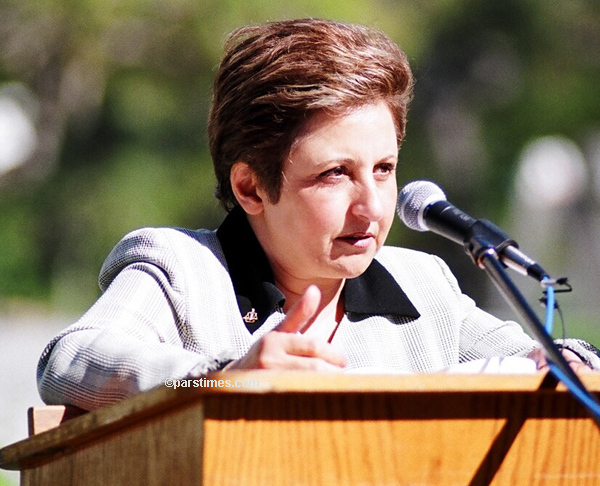 In 2003 Shirin Ebadi won the Nobel Peace Prize for her efforts in defending and promoting the rights of women and children. In 2006, the campaigns to Stop Stoning Forever and the One Million Signatures campaign for the reform of family laws were launched. The latter aims to ask Parliament for the revision and reform of current laws which discriminate against women. One of the main aims of the Campaign is to educate citizens and particularly women about the negative impact of these discriminatory laws on the lives of women and society as a whole. In 2009, following contested elections, women demonstrated en masse to bring about change. By all accounts, although the women’s rights movement was forced underground, and despite institutionalized oppression, the degree of mobilization and consciousness among women in Iran is quite remarkable. The women’s rights movement is vibrant and well-organized. The movement has also been credited with very smart use of information and communication technologies despite heavy censorship in the country.